One of the little things I love about spring break: not eating every meal out of a tupperware. Now, don't get me wrong-- I love and appreciate my healthy to-go meals that I prep & take around in my favorite lunch box. However, sometimes there is nothing better than eating a leisurely lunch that was freshly prepared at home. Today was actually not all that leisurely. I did a ton of driving, had coffee & breakfast while sitting in traffic, and ran out of snacks too soon. So, by the time I made it home for lunch, I was starving. This salad was so quick & easy to toss together, I even had the patience & energy left to take a few pictures and write down my recipe to share with you guys! :) That's saying something-- because I was hungry. 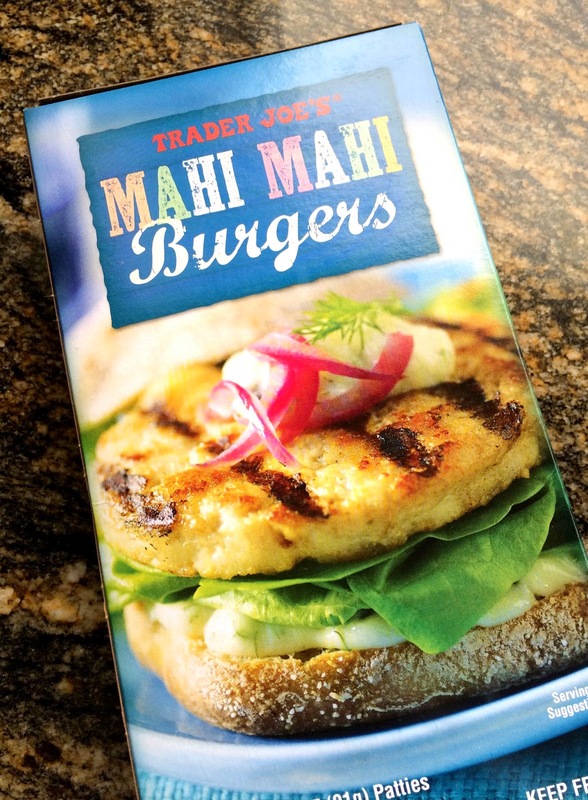 The Mahi Mahi Burgers from Trader Joe's are one of my favorite protein options lately. They are super quick to cook up on the stovetop, and don't have a lot of unnecessary ingredients. 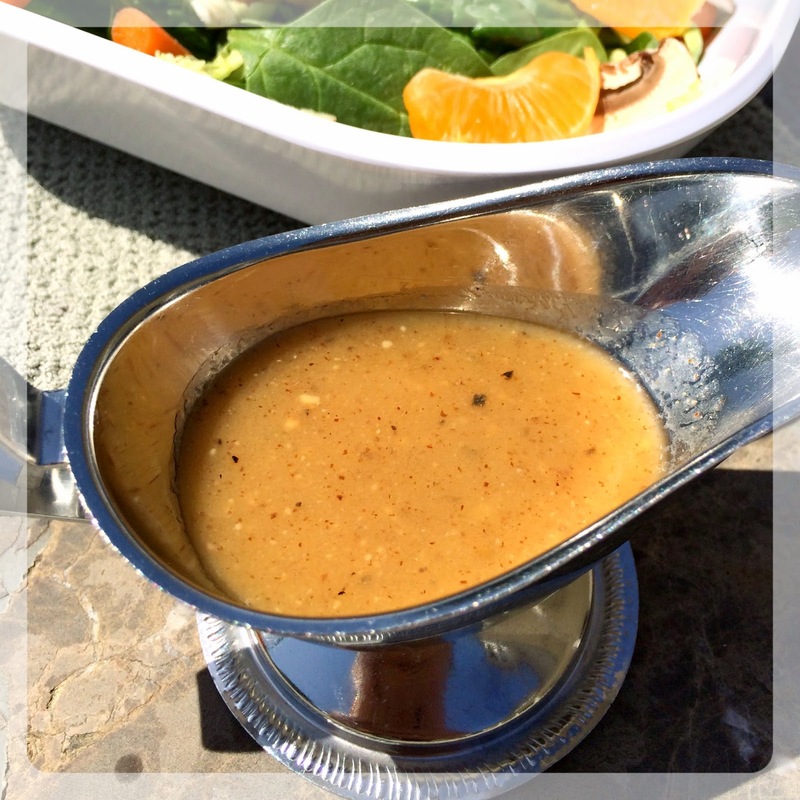 The flavor is savory & delicious, and pairs so well with the big star of this salad: the dressing. Whenever I'm craving an asian flare to my food, this is the dressing I whip up. It's incredibly simple, but tastes like it's from a restaurant. It reminds me of some of those citrus-y "peanut vinaigrettes" you see that are full of sugar and junk (yet so creamy & delicious). Mix the dressing ingredients in a small bowl until throughly combined. 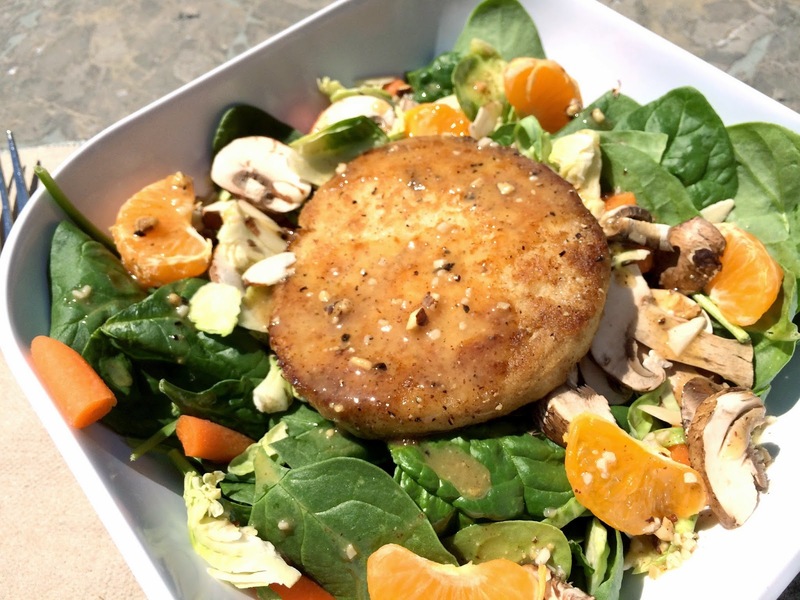 Drizzle over salad, chicken, or fish.